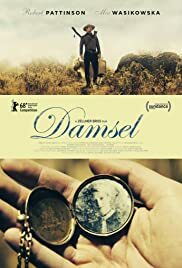 As Samuel Alabaster (Robert Pattinson) travels across the American Frontier, on a journey to marry the love he has always looked for, Penelope (Mia Wasikowski), life becomes more and more dangerous. Accompanied by his miniature horse, Butterscotch, and drunkard companion, Parson Henry (David Zellner), the lines between hero, villain and damsel in distress become more and more blurred in this comic reinvention of the classic western movie. This is the only film we walked out on at SXSW. There is nothing funny in this film. Someone told me it was supposed be a feminist version of a western. If true, all women should be insulted by it.